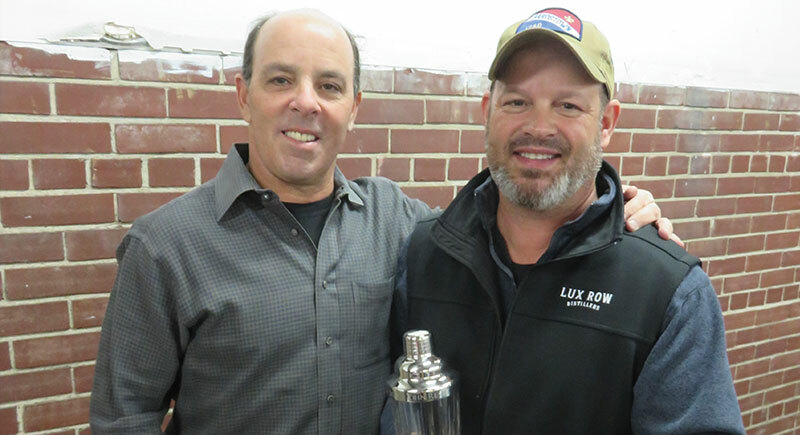 John Rempe, Lux Row Distillers’ Head Distiller and Luxco s Director of Research and Development, received the prestigious Paul A. Lux Award in 2018. The Paul A. Lux Award was created in 2008 to recognize valuable individuals for outstanding achievement, dedication, integrity and commitment to Luxco. The award was named after Paul A. Lux, the founder of Luxco/DSC, as a tribute to honor his vision and legacy. John, a certified food scientist and biologist, graduated from Saint Louis University in 1993. Before joining Luxco in 1998 as quality control coordinator, John worked in both the soft drink and fruit juice industries, first as a microbiologist and eventually working his way up through research and development and quality control. Soon after joining Luxco, John was promoted to Research and Development Manager in 1999. That same year, he received Luxco’s “Most Outstanding Employee” award. As plans for a bourbon distillery began taking shape, John knew he wanted to be a part of it. With his distilling and blending knowledge built over the years, and seeking out continuous education on all elements of the business, John was excited for this new chapter for the company. In 2017, he was named Lux Row Distillers’ Head Distiller. “This is my dream job. Watching the distillery come to life from an empty field, moving to Kentucky and living on the property where I am able to wake up to the smell of mash cooking every day – this is as good as it gets,” he says. John has two grown children: Hunter, 23 years old, and Sophia, a sophomore in college. “The highlight of my day is talking to my kids,” says John. When not at work or traveling back to St. Louis, John enjoys hunting, playing guitar and hanging out with his dog, Remy.